Categories: MK5 Golf GTI, MK5 Golf R32, MK5 Golf Edition 30, MK6 Golf GTI, MK6 Golf R, Scirocco 2.0 TSi, Scirocco R, Leon Cupra 2.0 TFSI MK2, Leon Cupra 2.0 TSi, Leon Cupra R 2.0 TFSI MK2, Octavia VRS 2.0 TFSi MK2, Octavia VRS 2.0 TSi MK2. 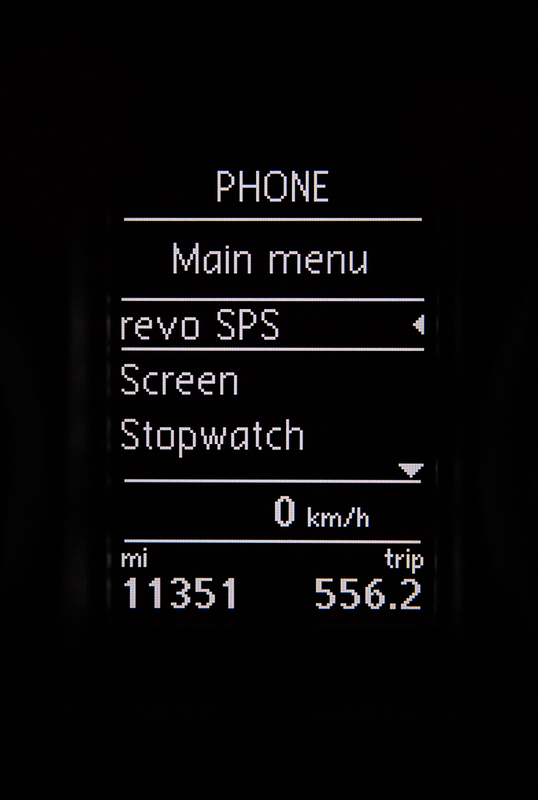 The SPS Pro is an advanced control module that syncs with your vehicle via the CAN gateway giving you access to a host of functions and full control of Revo software settings and modes via the factory MFD (Multi Function Display) and controls. 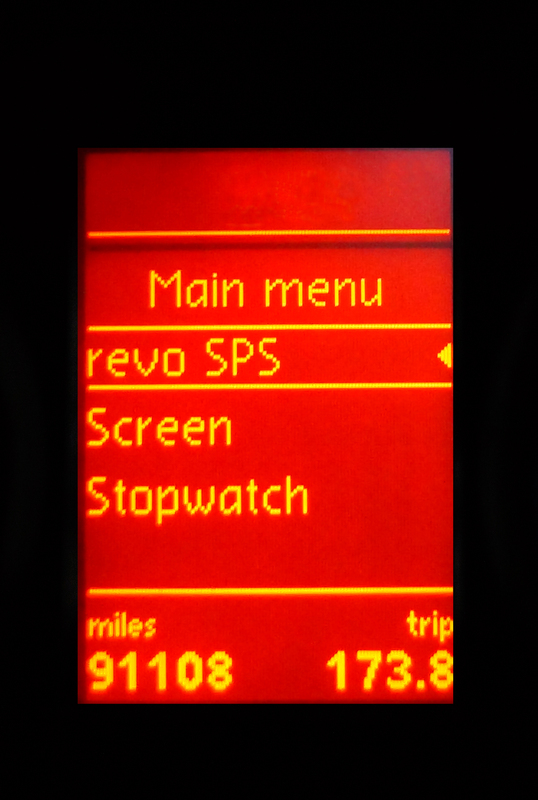 Monitor real time engine sensor information – Set-up ‘user’ screens to display the data you want to view live from the vehicle sensors. Time your performance – The built in chronometer allows race lovers to set stopwatch for acceleration and for laptime measurement. 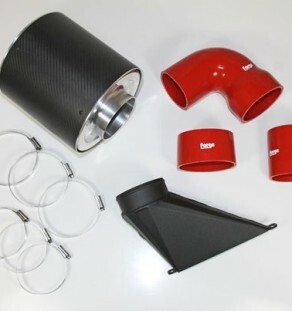 Diagnostics and Comfort functions – Access common diagnostic coding functions from your Revo SPS Pro screen, as well as comfort functions such as rain sensors, light sensors etc. 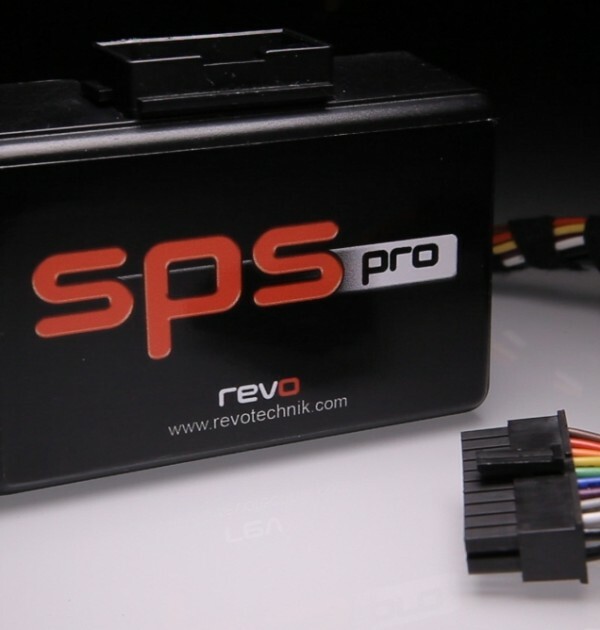 Safe-code vehicles with Anti-theft PIN – If your Revo software has an Anti-Theft mode the SPS Pro allows you to safeguard it by? adding a four digit pin code that you select when enabling AT. 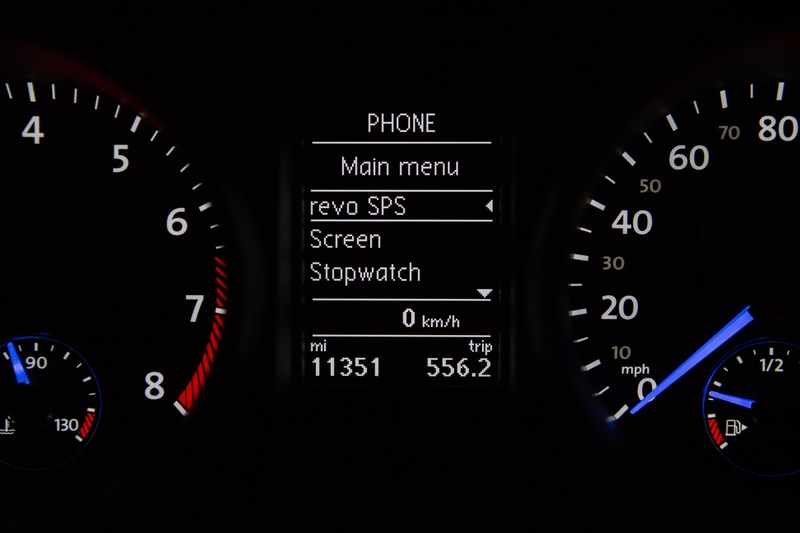 Mirror lowering function – Synchronise your mirrors to adjust to your preferred position when you engage reverse gear, returning to normal when disengaged from reverse. 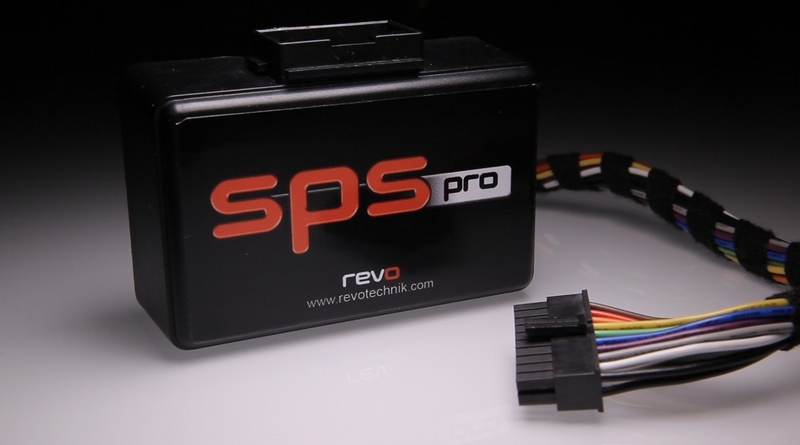 * Please note: Your vehicle must have either a red dot, or a white dot display unit for the Revo SPS Pro to be compatible with. 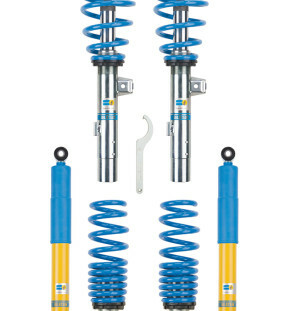 Please contact your nearest Revo Dealer if you are unure of the fitment.